In fact, according to The Coalition Against Bigger Trucks, a truck that weighs over 80,000 pounds or pulls two or three trailers is twice as likely as a single-trailer truck to be involved in highway accidents, and 32 percent more likely to be involved in a fatal crash. And we shouldn’t forget that any serious accident involving an overweight tractor-trailer can leave you with a permanent injury and a mountain of medical bills. Truck companies across the United States are pushing for truck weight limits to be increased from a maximum of 80,000 pounds to a staggering 91,000 pounds. They would also like to see the upper length of twin trailers—trailers that are pulled together, one in front of the other—to be increased from 28 feet to 33 feet; that’s five more feet per trailer, adding an additional 10 feet of length to the rig. Roads crumble faster when trucks get bigger. Unless Congress and state legislatures take action to ban the proposed size increases, these enormous trucks will continue to threaten lives while causing irreparable damage to the roads on which we travel every day. Drivers recognize that we’re already at the limit of vehicles they can safely steer. Truckers aren’t necessarily comfortable with the idea of operating larger trucks. Many truck drivers agree that larger double- and triple-trailer trucks aren’t as easy to control than single-trailer trucks. In fact, some truckers already refuse to drive double- or triple-trailers out of caution. Bigger trucks may worsen highway traffic. Rather than decreasing traffic congestion, larger trucks will actually take cargo away from trains. This maneuver, although great for the trucking company, will put freight trains out of business, requiring more and more larger trucks to pick up the extra cargo. So, what do you think? Are larger trucks a good idea, or bad idea? Would you feel comfortable driving next to a semi that is carrying three trailers, weighs 50 tons, and is the length of five cars? It’s okay; we wouldn’t either. 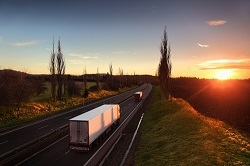 For more information on truck regulations and traffic laws, feel free to browse our extensive collection of articles and resources. And if you have already been injured in a trucking accident, it’s imperative that you seek legal advice immediately to determine if you have a case and if you can seek compensation. Contact us today; you owe it to yourself and your family.